In its most detailed briefing yet, Boeing executives took a conciliatory tone about the loss of life but rejected calls for a broader investigation. RENTON, WASH. ― Boeing gathered with representatives from every corner of the global aviation industry on Wednesday to defend the safety of its 737 Max commercial jetliner after a global grounding. It also offered more information about its software and training fixes in the aftermath of two deadly crashes. In its most detailed briefing yet, Boeing executives took a conciliatory tone about the loss of life but rejected calls for a broader investigation of the company’s relationship with its regulator, the Federal Aviation Administration. Officials from the Chicago-based aerospace giant defended the embattled 737 MAX as the culmination of 50 years of aircraft development in which safety has been the first priority. They also pushed back on the idea that something is inherently wrong with the aircraft development system Boeing and the FAA have in place, something that is the subject of congressional inquiries, a Department of Transportation panel and a criminal investigation. In an office park just a few miles from its 737 assembly plant, Mike Sinnett, Boeing vice president of engineering and chief project engineer for the 737 program, said the company had been “deeply affected by the tragic loss of life” in Ethiopia. “We are going to do everything we can to make sure that accidents like this never happen again,” Sinnett told a packed room of 67 media professionals. The statement echoed one from Chief Executive Douglas Muilenburg in the days after the first Max 8 crash in Indonesia last October. Sinnett on Wednesday defended the 737 as a tried-and-tested aircraft with safety standards honed through decades of continuous improvement. The briefing occurred before the company met with more than 200 pilots, technical leaders, airline representatives and regulators ― all of whom have a stake in the 737 Max, which has been forbidden to fly passengers in the United States, Europe and China for almost two weeks. Boeing was working to drum up support for a flight control system overhaul and a new pilot training regimen that it hopes will allay safety concerns raised by pilot groups and others. It plans to submit the final software fixes to the Federal Aviation Administration for review this week, something that could hasten the process of lifting the FAA grounding order. It is the second such meeting Boeing has held in Renton in the past week. The 737 Max is the subject of a criminal investigation and a congressional inquiry. While Boeing hosts its meeting, lawmakers in Washington are staging a Senate hearing on aviation safety and oversight on Wednesday afternoon. Among those expected to offer testimony are Daniel K. Elwell, acting administrator of the Federal Aviation Administration, and Robert Sumwalt, chairman of the National Transportation Safety Board and Calvin L. Scovel III, the Transportation Department’s inspector general. Boeing will also have to convince a skeptical community of global aviation professionals that the 737 Max will be safe to fly once the flight systems are updated. 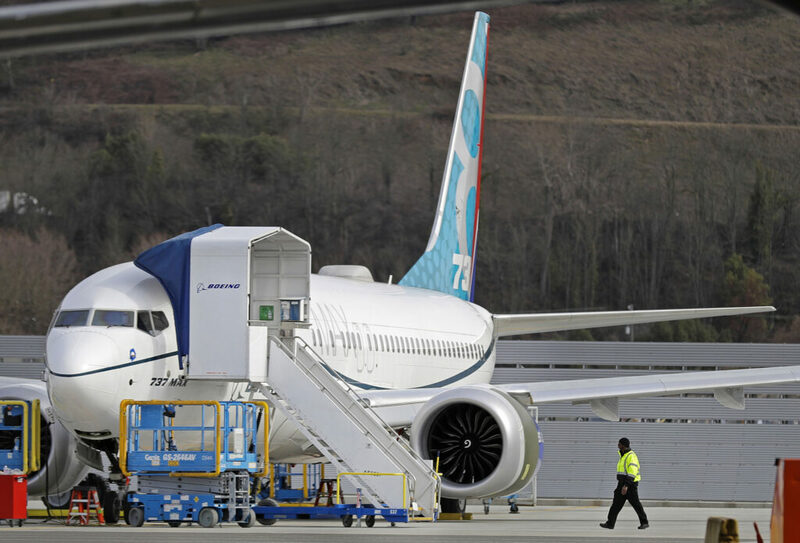 Several foreign airlines expecting 737 MAX deliveries, including Virgin Australia, the U.A.E.’s flydubai, and India’s SpiceJet, said they’ve sent representatives to Renton. American Airlines, United and Southwest – the three U.S. carriers that were flying 737 Max 8 or 9 jets at the time they were grounded – also said company officials would be present. “[Southwest Airlines] is eager to hear Boeing’s update as we await additional guidance from the FAA,” spokeswoman Brandy King said Tuesday. Safety concerns over the 737 Max emerged around the world after March 10 when a Boeing Max 8 operated by Ethiopian Airlines crashed minutes after takeoff, killing 157. It came just months after another Max 8 crashed off the coast of Indonesia under similar circumstances, killing 189. The FAA concluded, based on satellite data and evidence from the wreckage, that the two accidents had enough in common that the Max 8 should be grounded. At issue is a Boeing decision to add a flight control system called the Maneuvering Characteristics Augmentation System, or MCAS, into the 737 Max 8 without detailing it in pilot training. The possibility that MCAS, in combination with faulty data fed in through external sensors, could cause pilots to lose control at a critical moment has shaken the confidence of global regulators. Pilots were concerned that they did not have enough information about how to override MCAS. Analysts say the financial toll on Boeing and its airline customers could grow as the crisis goes on. Boeing has suspended all future deliveries of the 737 Max 8 and 9 for as long as the grounding order is in place. In a worst-cast scenario, analysts estimate the grounding order could cost the company up to $5 billion. Those with future orders are waiting on a resolution. WestJet, which has two Max deliveries expected later this year, said it sent pilots to the Renton meeting Wednesday. Boeing and the FAA have been working on the software and training fixes for months, but it is unclear why both organizations waited until after a second crash to publicly commit to them. A Boeing official speaking on the condition of anonymity to discuss internal deliberations said the company has used lab and flight simulators to test how the new software would work in different scenarios, all of it in close coordination with FAA officials. Boeing flight-tested the software on a Boeing jet on Feb. 7 and again on March 12, the person said. “Test pilots flew different maneuvers and flight conditions that exercised various aspects of the software update,” the Boeing executive said. The second test came two days after a second Max 8 jet crashed, this time in Ethiopia. A Boeing spokesman said Saturday that the 737 Max 8’s new MCAS system will no longer rely on just one external sensor to measure the plane’s angle of attack, a measure of how the plane’s nose meets oncoming wind. Another change to the software prevents the jet’s automated system from pushing the plane’s nose too far downward, something that is meant to prevent the plane from responding to bad flight data. The Wall Street Journal separately reported that the new system would include cockpit alerts when MCAS is triggered. And the company is expected to include new pilot training courses with simulators and instructors, going beyond the hour-long iPad courses that pilots said they were given as training for the Max 8 before the crashes.